Following on from the MCGs previous Chairs is a daunting task! It’s been an honour taking over from Mia and I learnt a lot from our meetings in the build up to last year’s AGM. I have been fortunate to have a very strong Exec and Committee to help me get my head around a lot of the tasks. Unfortunately, we lost Jessica Suess as Secretary, but were very fortunate that Sarah Middle picked up the role. As mentioned last year, it’s not easy to find a time for Committee meetings that fits around everyone’s family and work commitments. However, I feel it is important that we accommodate the Committee members’ busy periods so that we can benefit from their excellent work and commitment to the sector. We have established team leads to take responsibility for different areas of committee work. My hope is that this has allowed us to make it easier for new members to get involved and others to share responsibility. We have been meeting regularly as an Exec and as team leads. We have met face-to-face a couple of times, but have to make the most of a variety of a digital platforms to keep in touch. The work ethic of our volunteer run association is incredible. Thanks very much to the Programme committee, who had to review a lot of abstracts due to the excellent response we had to the call for papers. It’s been fun to see what projects are going on, but a challenge to distill the sector’s interesting digital collaborations into a day. We have decided to stick with the Museums+Tech branding that was introduced in 2016 for this year. Again, logistics have been brilliantly managed by the team to ensure that our delegates get extremely good value for money. The discussion list is thriving with access to a 1600+ professionals with and within the sector. We need to do more to sustainably amplify voices and ideas from the list, as suggested by the previous Chair. In terms of moderation, there has not been a need for flagging up many things, only a few emails that were targeted marketing. The website has considerably improved, thanks to the work of the MCG Committee’s website team and Thirty8 Digital. The team have demonstrated ownership of the platform through being able to turnaround new content very quickly. The final accounts of the Museums Computer Group as at 31 December 2017 are submitted for the Meeting’s approval. They were produced by Michael Bushell of Lee, Dicketts & Co, Chartered Certified Accountants, Business & Tax Advisers, Kent. The Income and Expenditure account shows that in 2017 the Museums Computer Group had an income of £17,258, an expenditure of £17,408, and a deficit of £150. The main income and expenditure was for Museums + Tech 2017 at the Imperial War Museum. The remaining expenditure over the year was used for administration, primarily fees. 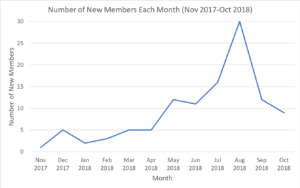 111 new individual members have registered since the 2017 AGM, and 4 new corporate members (from 3 November 2017 – 19 October 2018). The total number of MCG members is 588. New membership is consistent throughout the year, although the majority of new members joined in the run-up to Museums+Tech 2018. These new members come from across 86 organisations, including a varied mix of museums, heritage, galleries, archives, libraries and universities, as well as those in private business, government or council representatives. For 2018 MCG has 11 corporate members: University of Cambridge Museums, National Museum Wales, System Simulation, Museum of English Rural Life, V&A, Wellcome Collection, Royal Botanic Gardens, Kew, National Museums Liverpool, Luton Cultural Services Trust, Bletchley Park Trust, and Historic Royal Palaces. 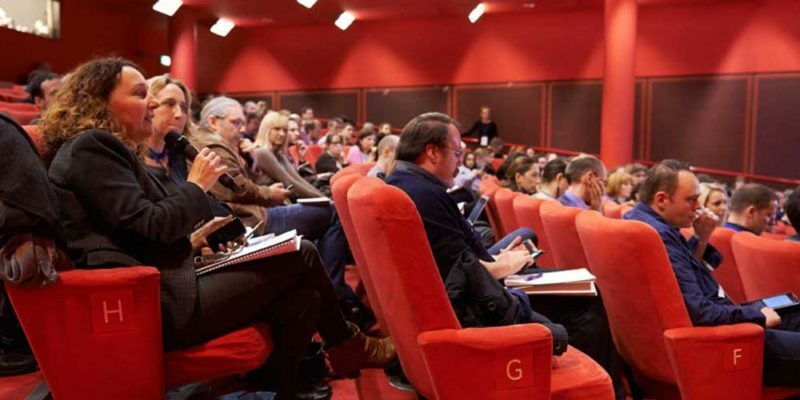 The MCG’s annual conference took place at the Imperial War Museum in London on Friday November 3 2017. It was themed Museums and tech in a divided world. The opening keynote was by Hannah Fox, we had 15 presentations and a closing panel. Twitter remains our most popular social media platform, with 4,650 followers (increase of 523 followers on last year). The platform continues to grow steadily, with an average of 30-40 new followers each month. We have also been using Facebook, predominately to promote events. Our Facebook page currently sits at a healthy 925 followers – but this is an audience that we’re looking to build on over the coming year. We’ve been using LinkedIn a bit more in the past year, mostly to promote our events and share the list discussion topics. The platform offers us an opportunity to engage on a more professional level – as well as share more learning / findings from the discussion list. This is an audience we hope to expand on in the coming year. Finally, we continue to use the Discussion List to share events, news and opportunities. The list is also regularly used by the community to discuss their work, projects and look for help and advice. We also use Mailchimp to publicise our events and, occasionally, news. The MCG website (www.museumscomputergroup.org.uk) was migrated to a new design and platform last year, and the Committee’s web team focused on addressing legacy issues from the move, including cleaning up broken links, ensuring past events were archived back to 2014, and adding some new functional pages. One member of the committee is standing down: Jessica Suess. The Chair thanked Jessica for all her work. Sarah Middle replaced Jessica Suess as Secretary in February 2018. No new committee members were elected this year. Posted in AGM by Sarah Middle on October 19th, 2018.